Budget portable nebulisers are available for sale elsewhere online but buyer beware, not everything is always as it seems. Last week we received a surprising, and very alarming, call from a well known BBC consumer rights programme. They had been given our name as the leading independent nebuliser experts as they, along with trading standards, were investigating a seized consignment of fake MY-520 nebulisers. The fake MY-520s had been discovered in amongst a large batch of other medical equipment, all of which had failed electrical safety testing and they were seeking to understand what using an unregulated nebuliser might mean for you, the consumer. 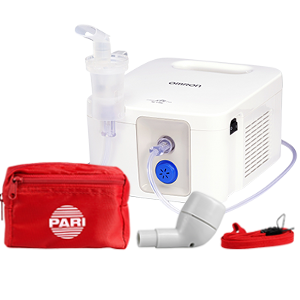 The MY-520 is a small, low cost, portable nebuliser which we have never stocked. Although low cost doesn’t always mean low quality a fake nebuliser which hasn’t been rigorously tested against medically accepted standards could result in you receiving an ineffective therapy. The consequences of this could range from a minor inconvenience - such as having to cut short an outing in order to return home to your mains powered compressor - to a medical emergency far from home, friends and family. Over the years, we have received many calls from customers who are unfamiliar with what to expect from a nebuliser, from those of you who have been newly diagnosed with a chest condition and from customers who have been using a device that should have been replaced many moons before. Confusion and misunderstanding can result in a deterioration of your lung disease, leaving you feeling even more short of breath, scared and insecure. Imagine if the MY-520 you purchased in the hope of reducing your anxiety and restoring your independence was fake and not functioning right from the very beginning. We explained to the BBC researcher that a nebuliser is a medical device that is regulated by the Medical Devices Agency. As such, nebulisers have to meet meticulous standards in order that the respiratory therapy you receive reaches the areas of your lungs where it is needed and that for some of you, correct respiratory therapy can be life saving. For some people, a portable nebuliser can mean the difference between being stuck at home, unable to leave the house or living a fulfilling life as independently as possible. Over the last 30 years however, we have spoken to so many of you who have been sold inappropriate nebulisers that are unsuitable for the medication you have been prescribed that we felt it was wise to write this blog. 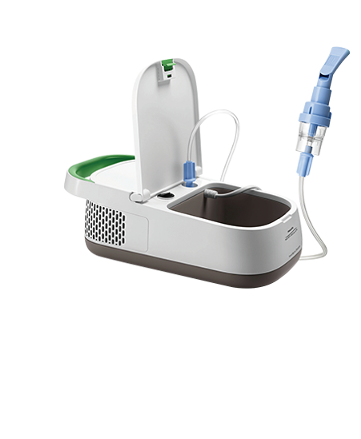 Why, despite multiple approaches we have continued to only supply nebulisers from reliable companies who between them have years of expertise and a thorough understanding of exactly how important a correctly functioning device can be. A key issue when purchasing a nebuliser has to be reliability. As a customer you need to be confident of its performance at a time when you may be already short of breath and anxious. You need to be sure it will nebulise your medication effectively. Customer service and product knowledge is also vital as you will have questions regarding its operation and need access to replacement disposables such as masks and mesh caps in order to keep it functioning hygienically and efficiently. We have been aware for quite sometime of budget imported portable nebulisers but were seriously concerned to discover that some have been copied and denounced as fakes. The consequences of this for you, the customer, could be devastating and we applaud the BBC and trading standards for their investigation and for raising awareness of this issue. If you wish to learn more about how to and why you should only buy nebulisers from a reputable manufacturer you can read our blog post here. Following a lengthy conversation we suggested that the people best positioned to speak on your behalf are our friends and yours, the British Lung Foundation. They are a truly independent organisation and through their nurses, website and helpline speak to many hundreds of you daily, offering support and advice on all aspects of living with a lung disease. If you have any worries or concerns regarding your health, any recent purchases or where to turn next we suggest you give them a call.